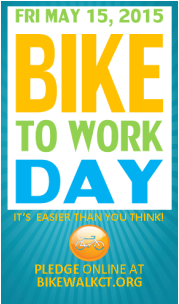 Friday May 15, 2015 is National Bike To Work Day! Friday May 15 was National Bike to Work Day. For a sampling of the morning's activities, see photos at left from the celebrations at Hartford's Old State House, attended by 80 or more, and UConn Health Center. 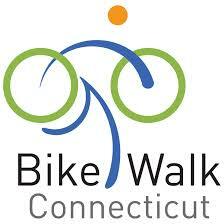 For photos of Stamford's Bike to Work Week events, click here. Now that you are biking to work, why stop there? Bike Everywhere is about using your bike for transportation instead of your car. Think of all the places you can get to on your bike. Bike to the grocery store, the movies, restaurants. Why not? Can't bike to work? 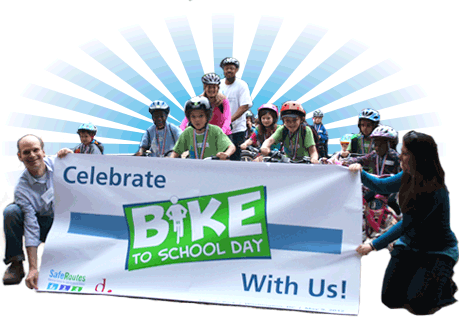 Then share a ride one day during CTrides Week, May 11-15. Visit CTrides at www.ctrides.com, then take a bus, train, carpool, vanpool, bike, or walk to work. Last year 619 people from 207 employers pledged to bike to work on Bike to Work Day. Despite the rain, Bike to Work Day celebrations were held at 25 locations across the state -- just as many as 2103 sun-filled Bike to Work Day, up from 14 in 2012. Total Miles Ridden One Way, by all pledgers: 4257 miles. The climate thanks you! Men and Women: 58% of pledgers were men, 42% were women.